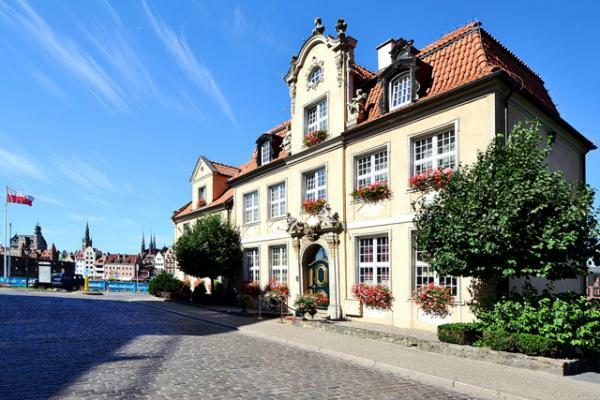 The convenient location of the Podewils Hotel provides easy access to the city centre and the Old Town. 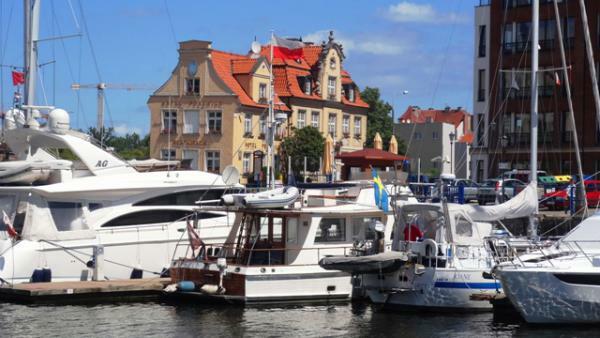 The hotel is situated beside the yacht marina, on the banks of the Motława River, opposite the ancient Gantry, and about 100 meters from both the Marine Museum and the Baltic Concert Hall. While designing the rooms, the artists drew inspiration from the baroque and rococo eras. 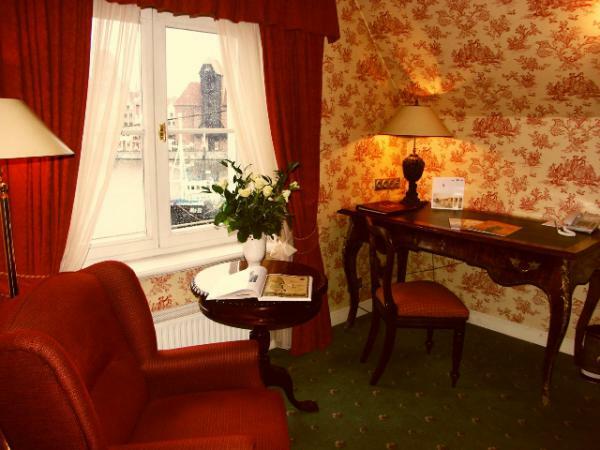 Each of the 10 rooms has its own individual charm and atmosphere. 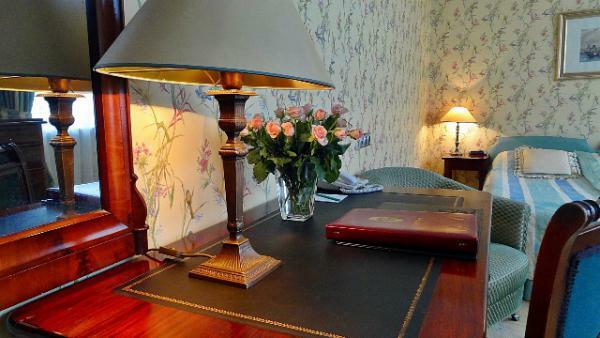 Stylish and cosy interiors will delight guests with their combination of beauty and functionality. 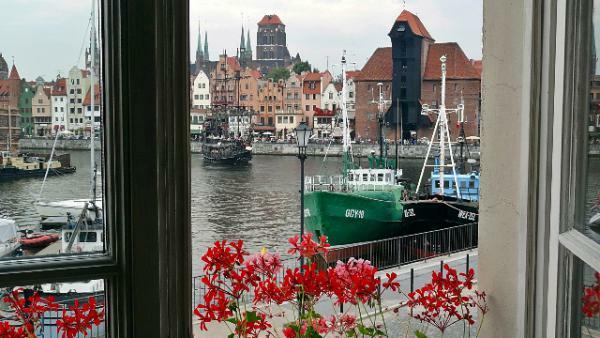 Carefully chosen details such as antique comfortable furniture make a stay at the Podewils Hotel a journey back into the time of 18th century Gdańsk. 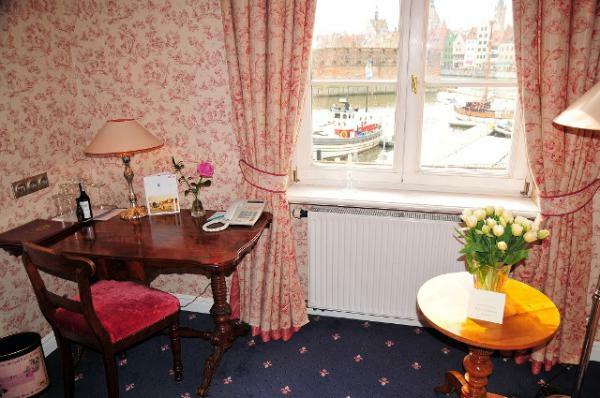 The rooms combine refined elegance with state-of-the-art technology, including air-conditioning, security safe, mini-bar, TV-SAT and DVD, two telephones, and access to the Internet. Stylish, marble bathrooms are equipped with a Jacuzzi bath and a shower with a hydro-massage. 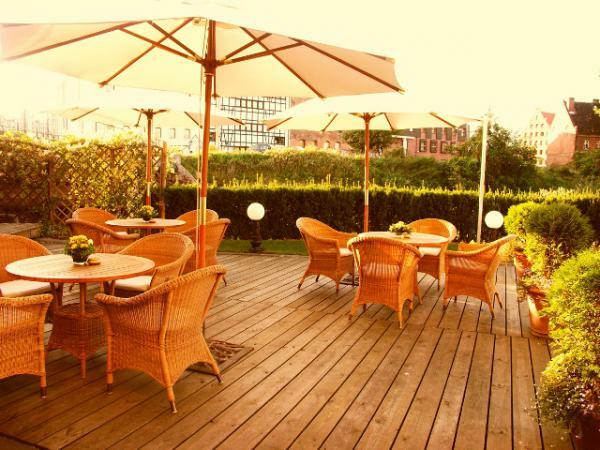 The Hotel Podewils Restaurant is the place to visit; discover for yourself its elegant style, the wonderful combination of colour and taste, and of course the professionally prepared delicacies from all over the world. 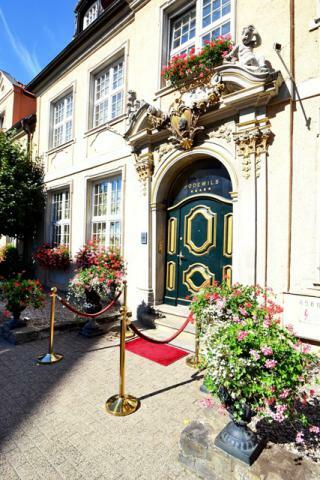 The Podewils Restaurant, renowned for its original recipes, accompanied by the right wine, silver cutlery and china crockery, and for its outstanding service, is regarded as the best restaurant in the Tri-City area by magazines such as Merian, Der Feinschmecker, Geo Special. 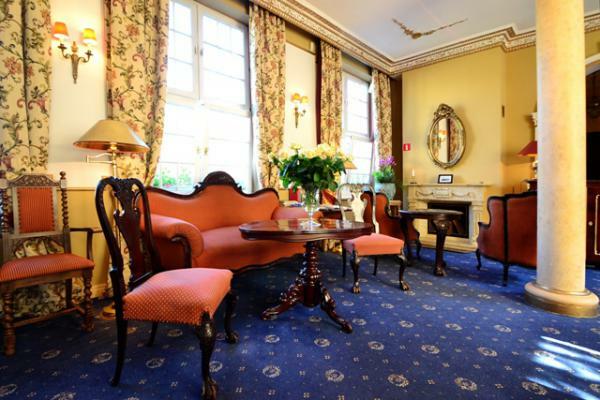 The professionalism of our staff, the elegant interior decor, comfortable working conditions and attractive arrangement proposals make the Podewils Hotel the ideal place for business meetings, training courses, private parties or an evening reception. Our experts strive to find the best solutions so that every meeting organized at our hotel becomes an exceptional event. We cooperate closely with carefully selected and top quality event managers, training companies, organizers of incentive meetings and artistic agencies.